We understand there are numerous breeders for you to choose from. We hope you will be pleased with our standards here at JoaLins; the consistent look and characteristics of our puppies, and our commitment to helping you and your puppy have the best start possible. 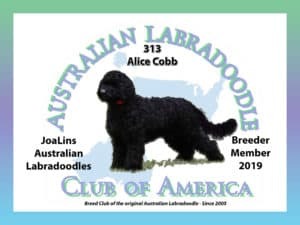 Is the breeder a member of a national Australian Labradoodle organization which requires the adherence to a Code of Ethics? If not, why not? How does the breeder socialize their puppies? What is their motivation for breeding? How long have they been breeding and how many puppies have they raised? Is the breeder willing to provide you with referrals? If not, why not? What does the breeder feed their dogs and puppies? Is it nutritious? At what age are the puppies weaned? Have the parents been health tested? Is written documentation available to substantiate the claim? What is the breeder's policy on hereditary diseases if your dog is unfortunate enough to develop one despite parent testing and clearance? Do they offer a genetic health guarantee? How much do the puppies cost? Price can be an indicator of the amount spent by the breeder on maintaining the health of their dogs and puppies. If the price is considerably less than other comparable breeders, proceed with caution! Some breeders spay and neuter their puppies before they go to new homes. Take this into account when assessing price differences. Have the puppies been vaccinated for the first time? Have they been on a deworming schedule starting at two weeks of age? Are they microchipped? Are they beginner crate-trained? Does the breeder require you to fill out an application? Or do they have a lot of puppies needing homes and are willing to sell them to anyone who can pay their price to make room for the next puppies being born? How do you feel when corresponding with the breeder? Do you feel that there is a genuine relationship being developed? If there is a problem do you feel confident that the breeder will work with you? Will the breeder take the dog back or help you find a new home for your dog if this becomes necessary? Has the breeder had dogs returned in the past? These are just a few tips to help you with your research. You should also realize that conscientious breeders are assessing you as carefully as you are them. It is your responsibility to thoroughly think through your decision to add a puppy to your family. Taking time and doing research before carefully choosing a breeder is the first step to enjoying many happy years with the world's greatest dog . 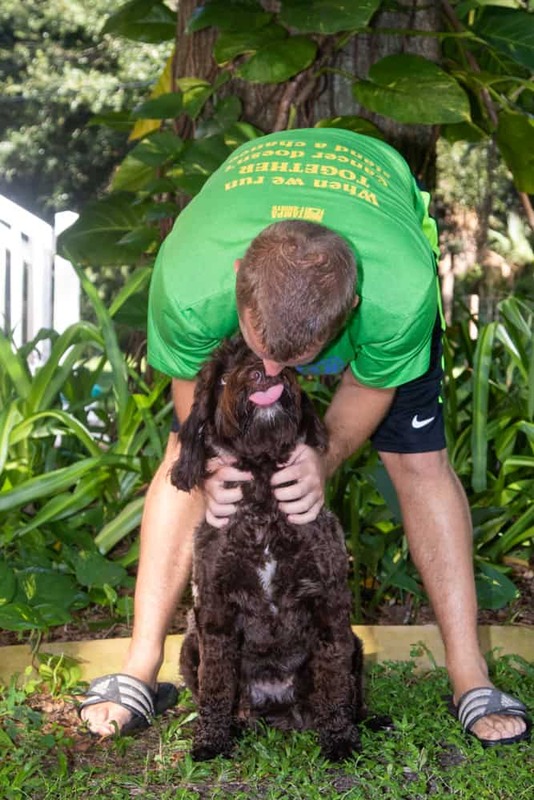 . . the multi-generational Australian Labradoodle. Once you do your research, we hope you choose JoaLins Australian Labradoodles for your new puppy!